Everyone’s throwing New Year’s Eve parties these days, so how do you make sure yours is the one people talk about for years to come? By thinking about every aspect of the party, from the location, the surroundings, the atmosphere and what kind of party you want, it’s easier than you think to create a memorable experience. Why stay at home when you have the whole world to explore? New Year could mean a new destination, a new start literally. 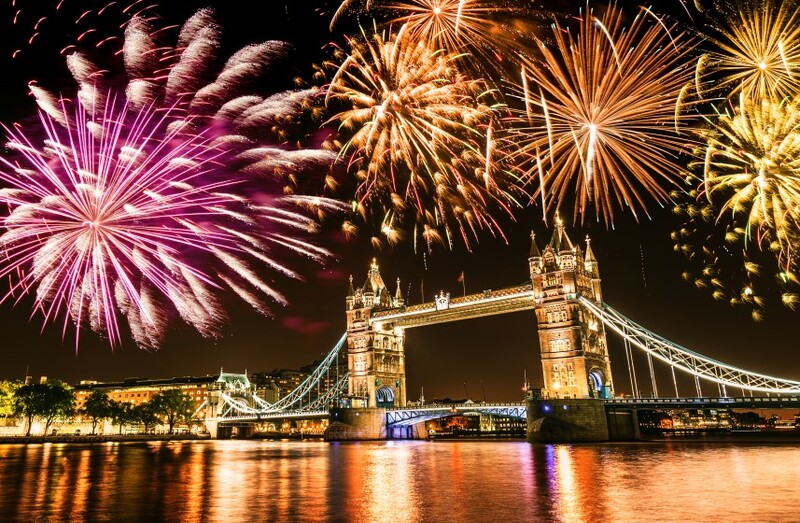 You could go somewhere that is typically associated with the New Year, such as Sydney Harbour, Trafalger Square London, Times Square New York, Rio de Janero in Brazil, or try a different scene. Let your imagination run wild? There are many different ways in which you can see in the New Year, pick one the suits all your guests. Imagine taking your family or a group of friends to a log cabin in the heart of the English forest, toasting marshmallows in the campfire at midnight? Or dancing away in some swanky hotel in Paris with your nearest and dearest and toasting the New Year in French? Your choice of venue is going to decide what kind of party you have, whether it’s casual and low key, or sophisticated and chic. After all, a party is wherever you decide it is going to be and all you need are a few canapes and bottles of bubbly to get it going! Cgeck if your venue is supplying the furniture, if not you may need to hire furniture and catering equipment for your guests. There are many different themes you can choose for your party, from fancy dress ideas to colour-co-ordinated or a black-tie event. Themes that work really well for a New Year’s Eve party are sports-related, posh cocktails, James Bond, favourite movie character, casino night, Mardi Gras etc. Whatever theme you choose, decorate the venue with loads of bright Christmas lights and balloons, adding party poppers, whistles and sirens ready on tables for the big countdown. Sit down meals are considered a little old-fashioned these days for younger guests, but lovely for older friends and family. The aim of a New Year’s Eve party is to get guests up and chatting and walking around, so you want food that allows them to do that, not something that tethers them to a table for the night. Think snack and party food, such as nibbles, chips, mini versions of anything bigger basically. So mini sausage rolls, mini hotdogs, mini kebabs and skewers, mini cheese bites etc. Put bowls of dips, salsa and guacamole with vegetable sticks around and offer a range of alcoholic and non-alcoholic drinks for guests. Depending on what time your guests are going to arrive, you are going to have a pretty long wait until midnight. For a successful party it is vital to keep them entertained for the hours before the countdown. So how do you do that? Some of the time can be spent eating and drinking. If you are having a sit-down meal that will take care of a couple of hours. If you are serving a buffet-style meal you should allow an hour to two hours if you are offering desserts as well. So what about the rest of the time? You have around two more hours to kill before midnight. You could incorporate a games evening into the party, with prizes presented just before midnight. Or how about turning the whole party into a Murder Mystery night and having the final reveal around 11.30pm, giving your guests plenty of time to mull over the final discovery? If there’s a larger group in a big venue, consider hiring a professional, either a comedian or a local band or DJ for the night. If you have guests staying over then make sure beds are made up in advance, and for those travelling back home, organising taxis is the best way to ensure they get back safely. And if you are hosting, don’t forget to have fun yourself!